It's FRIDAY! *All must pause here for the celebratory dance. * Where every you are, stop and get your groove on. Don't worry about who might see it. LOL! I know, for some of is Friday is just another day of the week. And that's cool. You can still take time to shake it and make it a glorious day! AND to make it an even better day I have something for you! How about a sneak peek at the first chapter of Divine Destiny? Yes, you are welcome. If that's not enough to inspire you, check for a pulse then head over to C.A. Szarek's blog and read about my Glass Slipper Revelation. Make sure you comment. Tell us about your GSR's. And of course, I'm having a drawing for a FREE e-book copy of Divine Destiny! Woohoo! Weeeeelllllllll, it looks as though I'm not very good at keeping secrets! (Keep that in mind if we ever have a drink together and you're feeling chatty!) It seems to me that this blasted cover was bound to be released early! Thank you Facebook. He he he! 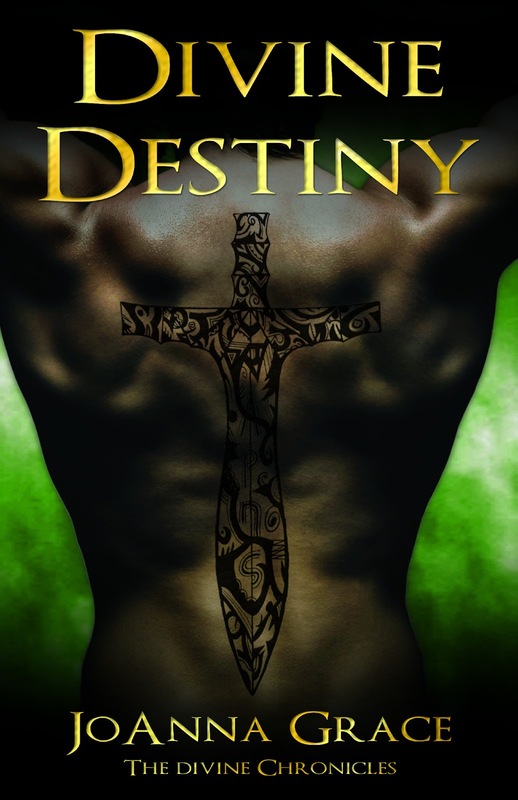 So my friends, here is the cover for DIVINE DESTINY!!!!! Thanks to J.Leeann for a BEAUTIFUL cover. You are amazing! Avery McClain is normal. Or so she thinks. Until her life is shattered and she is rescued by a Thracian warrior. He takes her to the Haven, a realm of safety for the magical race of Olympians. There she discovers her life was meant for a higher calling as the mate of an Olympian Prince. Her choice will change everything. Ryse Castille has one job: convince Avery to step into her role as a Divine Grace. As with any mission, there are obstacles to overcome. Including the fact he is captivated by her. Of all the gifts the gods have given him, romance was not included. But Avery belongs to him and he will stop at nothing to protect her. The enemy might be closer than they think. Can Avery find the courage to embrace her destiny? Or will evil separate them for eternity? Official online cover reveal: July 19th! My good friend and fellow author, C.A. Szarek, will be hosting my official online book cover reveal. I'm so excited to share this with you. My designer did a fantastic job of plucking the idea out of my head and bringing it to life. Not to mention making it a million times better. You should have seen the stick figure "idea" that I put in front of her! Eek! And it's almost time to reveal it! I will also be launching the new website where you can read the first chapter!!!!! More information to follow on that! For now, the cover! July 19th! Woohoo! Hope everyone is having a great week and please have a safe holiday weekend!